What Panerai Are You Wearing Today? Thread: What Panerai Are You Wearing Today? 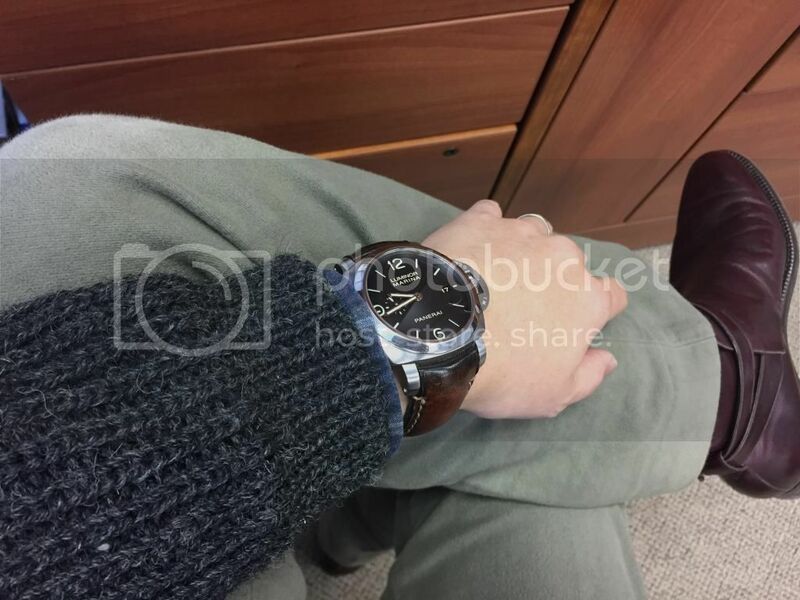 Re: What Panerai Are You Wearing Today? good lord that looks like a power ranger walkie device!! bigclive2011, Panerol Forte, Reeser1 and 5 others like this. Izzy_Does_It, bigclive2011, Reeser1 and 6 others like this. Izzy_Does_It, Reeser1, Synequano and 4 others like this. Izzy_Does_It, nrcooled, Synequano and 5 others like this. waikeekee, Izzy_Does_It, batman1345 and 7 others like this. bigclive2011, ridley, waikeekee and 4 others like this. lo_scrivano, bigclive2011, ridley and 5 others like this. Beautiful colourful dial!! Very different for a Pam!! Monday, December 28th 2009. Who's wearing a Panerai today? >>> TGIF! SEPT 18th, 2009. So, who's wearing their Panerai today?